Landworks Studio, an award winning firm, practices regionally and abroad. Founded by Michael Blier, the studio develops innovative landscapes for a range of project types. Our team members, many active in design education, have diverse backgrounds. Our interdisciplinary process begins with collaboration, embracing input from clients, allied design professionals, and the community. 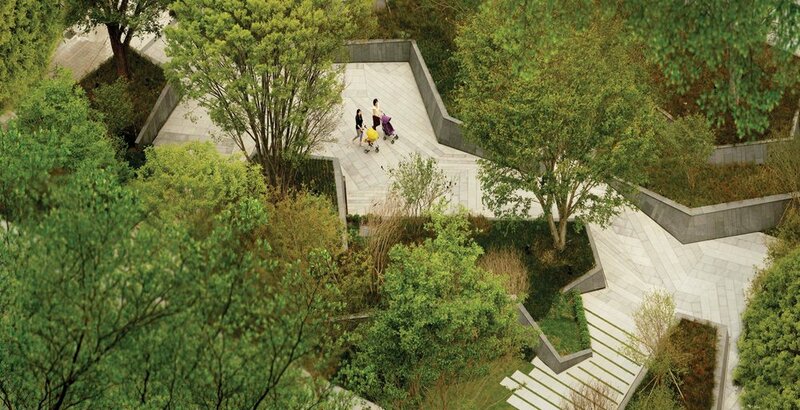 We develop useful, meaningful, and lasting spaces that respond to scale and context. After Months Of Renovation, The Salem Office Of Landworks Studio Is Complete. The transformation of a mid-century auto dealership into our new design studio and gallery has re-energized a vintage building in downtown Salem. Take a look at the various stages of the process where formerly dark, decrepit and moldy spaces have evolved into a bright, sun-filled context for design and exploration.